Get Your Ski House On! Ah, the ski house. Is there anything else that appeals to our sense of escape during the winter more than our cherished home-away-from-home? 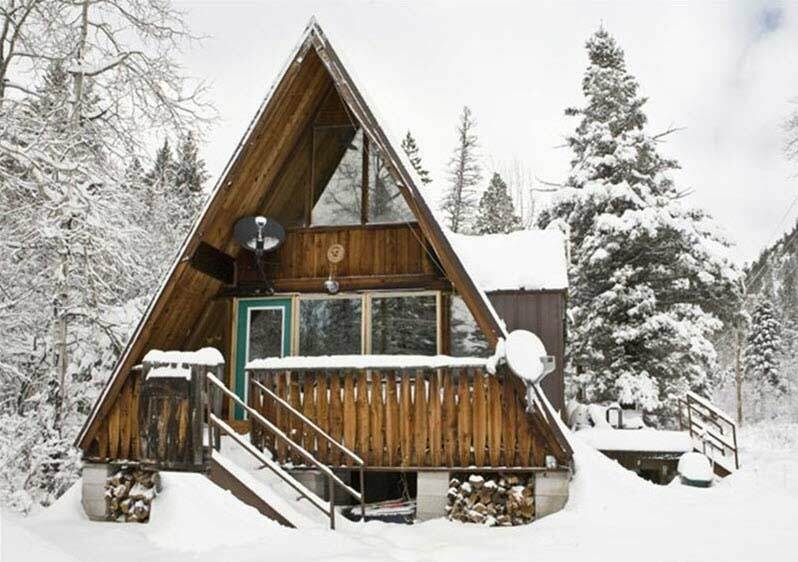 For this post, we’ll concentrate on the single-family ski house, not the time-honored dorm-style ski house that dominated New England through the 1960s and ’70s, and was shared by multiple families. The single-family house, whether a condo or stand-alone structure, will typically sleep 8 to 10, but can probably accommodate upwards of 18 to 20 in a pinch. Of course, you can “mix and match” the following features to your heart’s content. 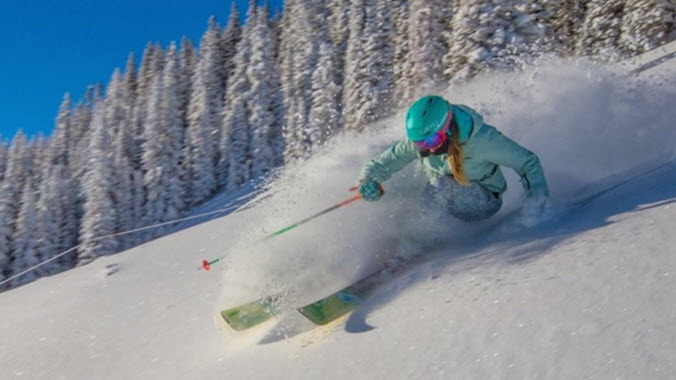 Like skiers can tackle all kinds of conditions and terrain – from groomed corduroy to deep powder – they can also enjoy a variety of lodging options. For example, the simple fact that you’ve had kids doesn’t prevent you from relishing a few late-night parties. There’s a mantra in real estate, “Location, location, location.” “Where” your place is as almost as important as the house itself. In ski country, you want good access to the hill. It doesn’t need to be slopeside, which typically doubles the purchase price (convenience has its cost), everything else being equal. But being close is a plus. That said, size and amenities are really important. I’m not going to get caught up in “décor,” since we could go in too many directions. At the very least, you’ll want to have a mudroom that allows everyone to rack their skis and hang up wet gear. Having glove and boot warmers is an added bonus. “If you’re going to ski multiple days in a row, you need dryers – not high heat – for the health of your liners,” said Che Elwell, who makes most of his turns at Sugarbush and Mad River Glen in Vermont (remember, healthy liners prevent blisters). If you’re entertaining groups that include several generations, you want to give each group adequate “space.” Separation between floors can usually do the trick. As for supplies, more IS better. A well-stocked kitchen is essential. Imagine driving through hours of sleet and snow, only to finally arrive at your place, frazzled and in desperate need of a nice glass of wine. And there’s no corkscrew. Brutal. Same goes for the next morning, when you wake up, raring to go, only to find you’ve got coffee, a coffee maker, but no coffee filters. Ugh! Some folks like to have a large coffee maker for breakfast, and individual brewers (like Keurig) for a quick cup of Joe anytime. Take time during autumn to find all the cooking tools, implements, utensils, dishes, bowls, mugs, and glasses that you’ll need. Estimate a conservative number for each, and then double it. Get a crock pot (nothing better than letting a stew simmer), blenders, toasters, fondue pots, waffle irons, microwave oven, and similar kitchenware. An outdoor gas grill is a great addition. In the food pantry, have plenty of canned goods (soups, etc.) and sealed items (beef jerky, popcorn, macaroni and cheese, and the like) just in case you get in late, and the local markets are closed. A well-stocked linen pantry, with lots of sheets, towels, paper towels, napkins, and toilet paper (especially toilet paper) is critical. “Hey, have you ever run out of toilet paper when you have a house of 10 kids and adults?” asked Marti Mayne, who has a ski house by Sunday River in Maine. You also want a well-stocked library (books and movies). At the risk of dating myself (OK, I’ll be 59 this fall), I still love a wide array of books to peruse post-ski. There’s just something remarkably soothing about cozying up with a good book and a nice beverage. Have a well-stocked “game room,” with board games (Scrabble is a favorite), puzzles, and cards, and maybe a dart board. Cards Against Humanity is a current hit, but make sure the players (read: younger) are mature enough. Some of the card “suggestions” can be pretty ribald. If you’ve got a wood stove, get plenty of dried, seasoned firewood. Many ski houses have electric heat, which is a dry heat (and a good reason to get a couple of humidifiers). Last, keep extra phone chargers and car keys at the house, and a set of jumper cables. “We needed them more than a few times for our friends or neighbors,” said Steve Decatur, who has a place near Attitash/Bear Peak in New Hampshire. In the same vein, have a shovel, salt (or kitty litter), and windshield scrapers. I’m a big, big fan of après ski. While encouraging responsible imbibing, we have to acknowledge the social aspect of skiing. A fully stocked bar, highlighted by the keg-o-rator and a few choice handles (Fireball, Grand Marnier, Jägermeister, and Jose Cuervo), is an absolute must for the fun-time crowd. If the refrigerator has an automatic icemaker, bring ice cube trays for Jell-O shots. Next, invest in a top-flight home entertainment system. Sound is more important (a broad CD collection is nice, though most people have huge music libraries on their smart phones these days), but a sweet, flat-screen TV is ideal for great ski flicks like Greg Stump’s “License to Thrill” and “Blizzard of Ahhh’s.” Add a disco ball and dance floor to get in touch with your inner ’80s child. A foosball table, ping-pong table, or pool table would also be a good fit. So now you’re a little older, with a couple of micro-shredders in tow, and a smaller appetite for the all-night ski bash. That’s OK. Not all of us are Bode Miller. Since kids are famous for forgetting stuff, have plenty of extra socks and gloves, and big boxes of hand- and foot-warmers. On the hill, spare water bottles or bladders keep everyone properly hydrated. Après ski, youngsters will also love the game tables mentioned above. Some parents keep electronics to a minimum, for the sake of quality family time. For others, “quality family time” means keeping the peace, so Xbox and PlayStation consoles and a Netflix subscription could definitely come in handy. If you’re a sports fan, don’t risk missing your favorite team in action. Instead, equip that big screen TV with a satellite dish. 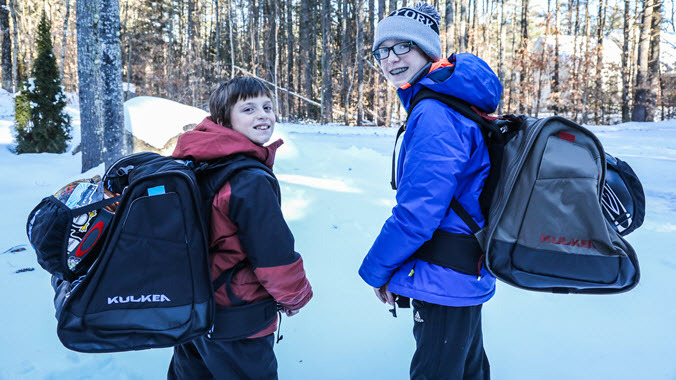 Sleds, snow tubes and even cafeteria trays are a big hit with youngsters (and adults) later in the day, or even for those who aren’t up for a day on the hill. Also, think about getting a couple “sound machines” that provide soothing white noise at night, to help the youngsters get to sleep even if you’re having guests whooping it up in another section of the house. Speaking of kids, and their friends, stock up on airbeds or foam mats, and sleeping bags. Futons are perfect for doing double duty in this department. Keep in mind, even if you don’t have kids of your own, your extended family members and friends might. Even better, if you plan to put your place into a rental pool like Airbnb, it will be more marketable if it can accommodate families (and, to be perfectly honestly, wouldn’t you rather rent to a family than a typical “guys’ weekend” crew?). Many of us are more than happy to leave our skis and snowboards with the resort ski shop, trusting them to turn our boards before the next day. But there’s a big contingent that is far more particular, and prefers a more “hands on” approach. 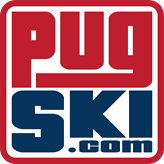 “A portable tuning bench and tuning equipment lets you put an edge on your skis after spending the day on Eastern ice,” said Elwell. The necessary tools and supplies include files, scrapers, P-tex, edging stone, screwdrivers, adjustable wrenches, duct tape (the ubiquitous duct tape), Gorilla glue, and a variety of waxes and iron. A small Shop-Vac will keep things tidy. There’s no doubt that hot tubs can be appreciated by any generation (just ask my daughters). But once you cross the 40-year-old barrier, hot tubs become more and more of a necessity if you want to be able to link together productive back-to-back days on the trails. Likewise, a nice sunroom with yoga mats and blocks will allow you the space and setting to work on recovery between ski sessions. Speaking of recovery, keep a few gel ice packs on hand for those inevitable bruises, and heating pads to help loosen up stiff joints and muscles. We also always have an extra bottle or two of Aleve (or similar pain reliever). Finally, I’ve got a soft spot for decks and firepits. As mentioned earlier, I’m not a spring chicken anymore, so I don’t mind calling it quits before the last chairlift. Heading back to the ski house, stoking up an outdoor fire, and watching the sun set over the slopes while enjoying a finely crafted cocktail is one of life’s truly great pleasures. Try it. A special “thank you” many of my ski-loving friends for their input on this piece, including Vaughn Harring, Che Elwell, Marti Mayne, Steve Decatur, Steve Cook, Daniel Murphy, Frank Cutitta, and Lafe Low. Ski Gear Prep for Winter. 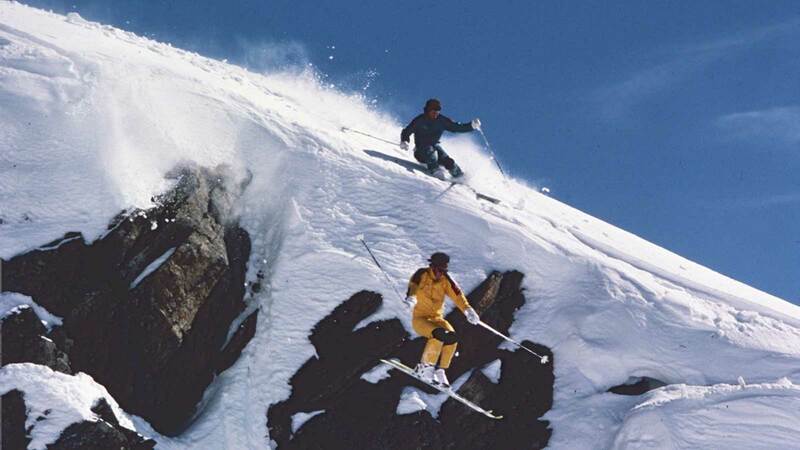 Ski Movies to Get You Stoked.